Q. How can I access Vidigami on my iPad? 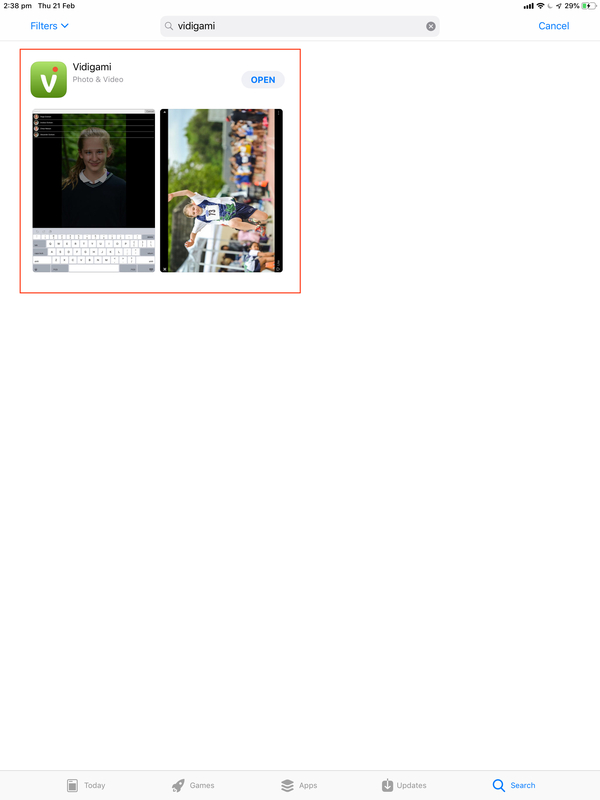 Vidigami is the replacement for the Scotch Gallery website, where photos and videos of school events can be found. To access Vidigami on your iPad, follow the steps below. If you haven't already, install the free Vidigami app from the App Store . Run the Vidigami app. The first time you open the app, you will be asked where your school is located; select Australia. Select the Scotch College button. Sign in with your Scotch user ID and password. You can now browse and search Vidigami at your leisure.